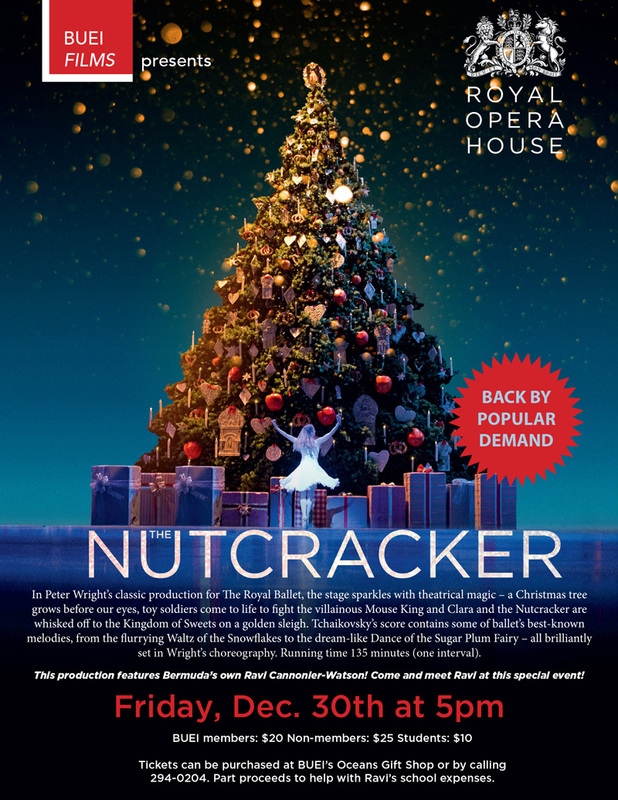 BUEI Films and the Royal Opera House will be hosting a production of “The Nutcracker” today [Dec 30] at 5.00pm, with a running time of 135 minutes. The event poster says, “In Peter Wright’s classic production for The Royal Ballet, the stage sparkles with theatrical magic – a Christmas tree grows before our eyes, toy soldiers come to life to fight the villainous Mouse King and Clara and the Nutcracker are whisked off to the Kingdom of Sweets on a golden sleigh. “Tchaikovsky’s score contains some of ballet’s best-known melodies, from the flurrying Waltz of the Snowflakes to the dream-like Dance of the Sugar Plum Fairy – all brilliantly set in Wright’s choreography. Running time 135 minutes [one interval]. BUEI members cost $20, while the cost for non-members is $25; the cost for students is $10. Tickets can be purchased at BUEI’s Oceans Gift Shop or by calling 294-0204. Part proceeds to help with Ravi’s school expenses.